Small-scale hydropower is developing rapidly in many countries in response to policies of encouraging renewable energy and reducing reliance on fossil fuels. This rapid increase in the construction of hydroelectric turbines provides a substantial risk to migrating biota, especially fish. 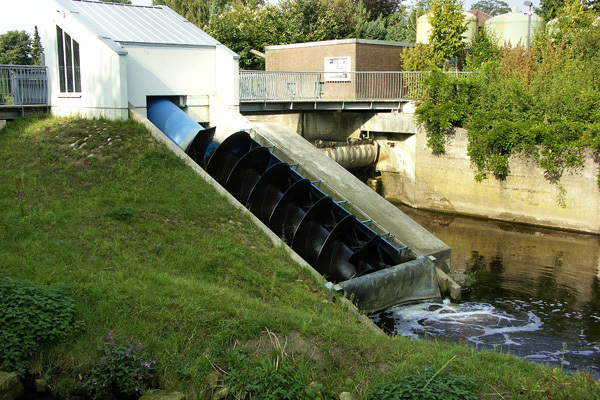 Some turbines, such as the Archimedes screw design, are regarded as relatively friendly to fish but have not yet been assessed for their potential impacts on threatened lamprey species. To assess the risk of impingement and the patterns of movement by emigrating river lamprey Lampetra fluviatilis transformers and drifting larval ammocoetes at the site of an Archimedes screw turbine in north-east England, drift nets were set over the periods of January to June 2009 and November 2009 to May 2010. If you require any advice on lampreys or small hydro schemes and fisheries, please contact us at +353 61 419477.